Orange County and the City of Orlando welcomed 35 representatives from 31 different foreign missions, as part of the U.S. Department of State Office of Foreign Missions and Bureau of Diplomatic Security’s 2019 Experience Florida program. Experience Florida is a four-day program organized in partnership with the Consular Corps of Orlando, provides participants an opportunity to network and strengthen economic, commercial, scientific and cultural relations between the countries they represent and Florida. During their time in Orange County, participants will visit the University of Central Florida Campus and UCF College of Engineering, Orlando Health Regional Medical Center, the Orlando Health UF Health Cancer Center; as well as Universal Orlando with a presentation on Universal’s STEM programs. Through the support and guidance of the U.S. Department of State’s Office of Foreign Missions and Bureau of Diplomatic Security, the Experience Florida program is now in its third year, after successful events in Indian River County in 2016 and the Port of Palm Beach in 2017. Participating foreign diplomats have been able to foster connections with representatives from the state to provide better support to their citizens who have relocated or are visiting Florida. Participants also learned about regional business development opportunities, law enforcement capabilities and emergency management through the program, which provides for a mutual exchange and dialogue on policing, training, and technology in today’s rapidly changing environment. Representatives from Iceland, Monaco, Germany, Turkey, the Bahamas, Canada, Chile, Belgium, Nigeria, France, Uruguay, the United Kingdom, Hungary, Mexico, Taiwan, Switzerland, Colombia, Brazil, Antigua & Barbuda, Barbados, St. Lucia, Spain, Grenada, India, Austria, the Netherlands, Haiti, the Czech Republic, Peru, and Japan attended the event. Additionally, participants visited the Orange County Sheriff’s Office, the Sheriff’s Emergency Operations Center, the Orlando Economic Partnership, Orlando City Hall, Orlando International Airport (MCO), and Walt Disney World Resort’s Emergency Operations Center and its retail hub Disney Springs. 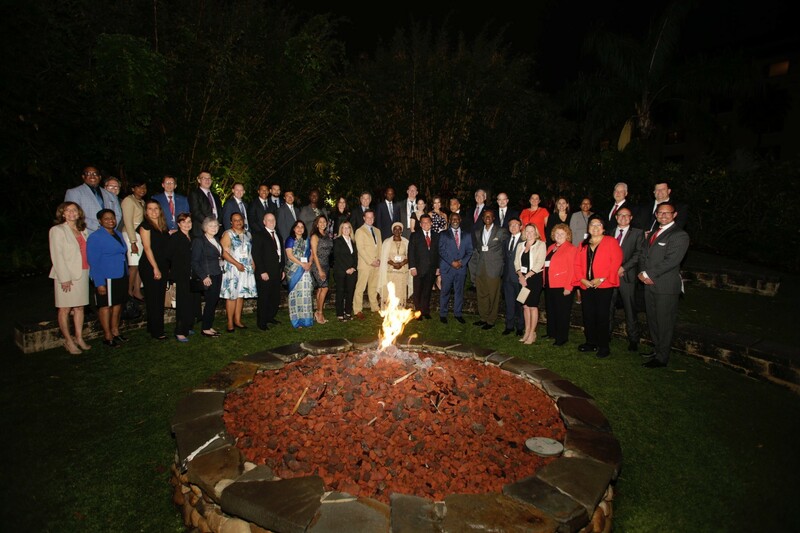 Photo Caption: Representatives from 31 different foreign missions gather with community leaders and local elected officials for the Experience Florida 2019 program Welcome Reception at Universal Orlando’s Loew’s Royal Pacific Resort on April 9, 2019.